COLUMBIA, SOUTH CAROLINA – On Tuesday, April 25th from 7 p.m. to 9 p.m., filmmakers from across the Carolinas will gather at Tapp’s Art Center for the Carolina Film Network’s First Quarterly Meeting. This event will showcase three films produced by local filmmakers and will include casting director Tara Lynn Marcelle of E. Marcelle Casting, Inc., as guest speaker. Films screening include horror film Debbie Lynn directed by Sean B. Krumbholz, Our Star Trek: The Fifty Year Mission directed by Christopher Tevebaugh and Spark directed by Daniel Merlin Miller submitted by the director of photography Michelle Elise Harding. All three films have screened at previous meetings, winning the audience choice award. 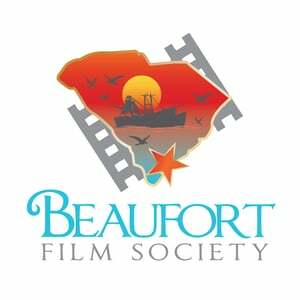 They will once again compete for the audience choice award, the winner’s film will then progress to Carolina Film Network’s First Annual Film Festival. Among the guest visiting, will be casting director Tara Lynn Marcelle of E. Marcelle Casting, Inc., who will be discussing the casting process along with the red flags creatives should look for in order to avoid being taken advantage. Marcelle is currently the head casting director for Sid Roth’s, It’s Supernatural. New York based producer and cinematographer Jordan Battiste will also be in attendance. He is currently filming, What Matters, a feature length drama in Columbia, S.C.
Carolina Film Network is a non-profit organization that promotes local film in the Carolinas. It also serves as a link between entrepreneurs and industry professionals to stimulate economic growth. Carolina Film Network meets once a month in collaboration with Tapp’s Art Center. For more information go to www.carolinafilmnetwork.org. Admission to event is $5 at the door or online. To preorder tickets please click here. Copyright.. What does it exactly mean to be copyrighted? How do you go about having something copyrighted? How are YOU as a creative protected under copyright laws? Find out on November 29th when UofSC’s Carmen Maye, J.D., Ph.D. drops in to discuss Copyright. If there are any questions that you wish to be answered please feel free to let us know. That way we can be sure to direct the conversation appropriately. We will also open the floor to fellow filmmakers for a small pitch session. Our November Meeting will be held at Tapp’s Art Center beginning at 7pm. Ticket price to event is $5 in order to pay for the space provided by Tapp’s Art Center.